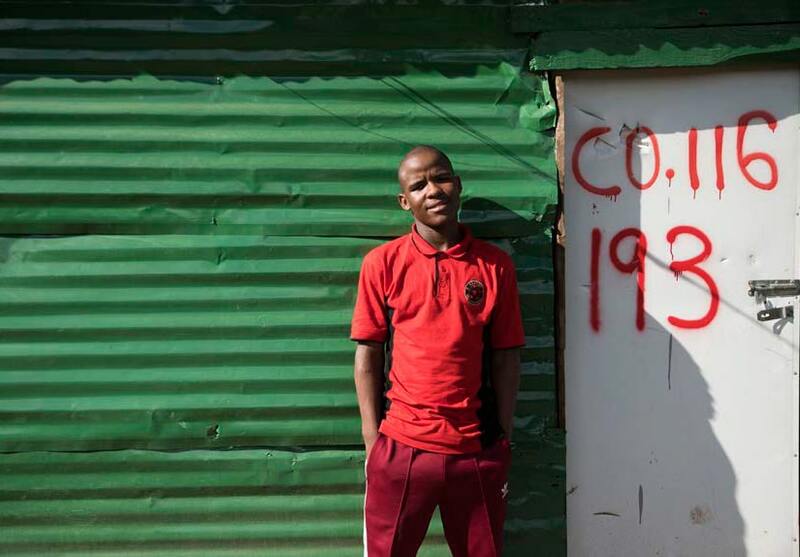 The Homemade Politics of Abahlali baseMjondolo, South Africa’s Shack Dweller Movement. An isolated individual may obstinately refuse to understand a problem, but the group or the village understands with disconcerting rapidity. It is true that if care is taken to use only a language that is understood by graduates in law and economics, you can easily prove that the masses have to be managed from above. But if you speak the language of everyday, if you are not obsessed by the perverse desire to spread confusion and to rid yourself of the people, then you will realize that the masses are quick to seize every shade of meaning and to learn all the tricks of the trade. If recourse is had to technical language, this signifies that it has been decided to consider the masses as uninitiated. Such a language is hard put to it to hide the lecturers’ wish to cheat the people and to leave them out of things. The business of obscuring language is a mask behind which stands out the much greater business of plunder. The people’s property and the people’s sovereignty are to be stripped from them at one and the same time. Everything can be explained to the people, on the single condition that you really want them to understand. And if you think that you don’t need them, and that on the contrary they may hinder the smooth running of the many limited liability companies whose aim it is to make the people even poorer, then the problem is quite clear.… The more the people understand, the more watchful they become, and the more they come to realize that finally everything depends on them and their salvation lies in their own cohesion, in the true understanding of their interests, and in knowing who their enemies are. The people come to understand that wealth is not the fruit of labour but the result of organized, protected robbery. Rich people are no longer respectable people; they are nothing more than flesh-eating animals, jackals, and vultures which wallow in the people’s blood. With another end in view the political commissioners have had to decide that nobody will work for anyone else any longer. The land belongs to those that till it. – Frantz Fanon, Wretched of the Earth, 1961. Land has always been central to the nationalist imagination in South Africa. But, after apartheid, the African National Congress (ANC) did not act to democratise governance in the former Bantustans (land designated for black South Africans under apartheid), or to undertake serious land reform in the vastly larger areas under the control of white agriculture and game farming. The ANC promised urban housing but, with most South Africans living in cities, what the ANC offered was wholly inadequate in terms of both scale and quality. The feeble land reform that the ANC did provide mostly conformed to a neo-apartheid logic in the sense that it was predominantly built in desolate places far from urban life and opportunity. The land question, which has been vigorously raised in elite politics in recent times, has often been assumed to be a rural question. There is, of course, an urgent political imperative with regard to rural land, whether under white or ‘traditional’ authority. But it is in the cities where there has been sustained conflict between impoverished people and the state, as well as private land owners. Access to the cities, and the prospect of acquiring a home, whether from the state or one’s own efforts, requires land. The new sequence of urban struggles are fundamentally struggles for urban land. Ten years after the end of apartheid in 1994, land occupations were increasing across the country. Not only did the state did repress new occupations; it also sought to destroy established occupations, some reaching back as far as the late 1970s. To do this, the state resorted to increasingly militarised forms of urban governance. This dramatically escalated growing tensions. The road blockade became a common tactic to defend the occupations, or to demand access to services and formal housing on occupied land. Abahlali baseMjondolo or AbM (meaning ‘residents of the shacks’ in Zulu) emerged from this ferment. It is, by a considerable distance, the largest and best organised popular movement to have emerged in South Africa after apartheid. The movement was formed more than a decade ago in the face of intense hostility from the ruling party and some Non-Governmental Organisations (NGOs), both of which had assumed an automatic, permanent and exclusive right to represent impoverished people. AbM has survived serious repression, including the destruction of its members’ homes at gunpoint, as well as organised slander, arrests, assaults, torture and assassinations and ongoing attempts at capture by political parties and NGOs. In recent years it has grown rapidly and organised and successfully defended numerous land occupations. It currently operates from more than forty occupations across the country. From a base in these land occupations it has built a membership of well more than 50,000 people, regularly held large public events in football grounds, staged impressive protests in central Durban, won regular access to the elite public sphere, and forged valuable links with radical movements elsewhere in the world. For the Tricontinental: Institute for Social Research dossier #11, we spent time with S’bu Zikode, one of the founders and leaders of the AbM. The photographs that accompany this interview with S’bu come from the photographers of New Frame, a multi-media on-line magazine that reports from South Africa. Could you tell us how Abahlali started and how it has developed? Our movement was born in a shack settlement in Durban in 2005. The people from the Kennedy Road settlement in Clare Estate had been promised a piece of land for public housing. This land was sold to a private businessman for private profit. The people took to the streets. We blockaded a major road in February 2005. When the elected representative responded by describing us as criminals and calling the police to attack us, we realized with shock that we were on our own. After this shock, a series of serious discussions were held in settlements across Clare Estate that resulted in the formation of the movement eight months later in October 2005. When Abahlali was formed–this is a point that I always want to emphasize–there weren’t any clever individuals that sat around the table and thought of building this movement. We built our movement out of anger, hunger, and frustration. It was built out of need. There wasn’t any proper idea that we wanted to start up something. The state makes promises. The state breaks its promises. People respond. We were promised a piece of land. That land was sold to a businessman. Anger welled up. We brought traffic to a standstill for hours, demanding answers from the authorities. Most popular protest in South Africa uses road blockades as a tactic. What is significant is that although there were so many protests around the country, we were able to sustain that protest and turn it into a movement. What made that possible is that the state was prepared to lie and put lies ahead of the truth and put profit ahead of human needs. Because they were prepared to continue lying, I think that act really enabled us to put sustaining plans in place to resist. We did not only organise our locality. Neighbouring communities also got involved. They said, ‘we identify your demands with our demands. We can amplify our voices if we all unite’. So, this unity was organic. This movement grew from anger to the table, not from the table to anger. Ours is a politics of the poor–a homemade politics that everyone can understand and find a home in. Since 2005, we have won many victories and survived waves of serious repression. A number of our comrades have given their lives to the struggle. We’ve lost many comrades who struggled for a world in which everybody lives in peace and harmony. In April 2018, our audit of members in good standing in Durban passed 50,000. We have branches in more than 40 land occupations in Durban and in 5 provinces across the country. Recently our membership in rural areas, particularly on the side of the Eastern cape closer to Durban, has been growing. When it comes to land occupation, it’s something that we did not do from the start. The movement was started because of landlessness and because people were homeless. The question of land became central in our movement. When poor people come to cities, first of all they do not have jobs. If they do it is in domestic work which really doesn’t pay much. As a result, people cannot afford to rent flats. 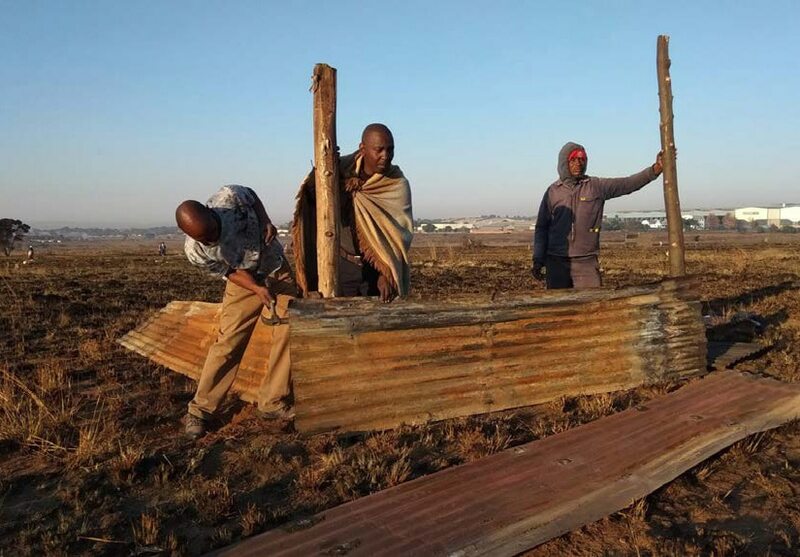 What they tend to do is to occupy a piece of land and build themselves shacks. Now, why did we have to resort to land occupations? The state was not prepared to provide state-assisted housing. 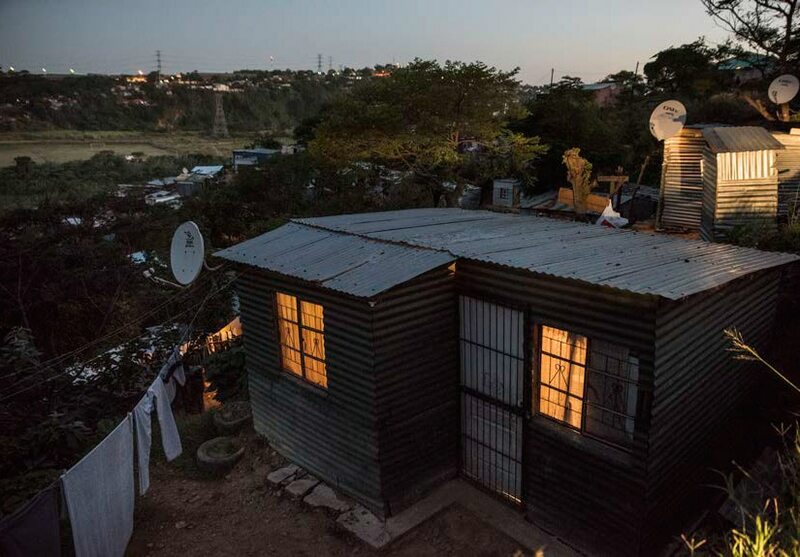 South Africa has a programme to build housing for free for the impoverished. But that scheme is often monopolised by politicians. You’ve got to pay bribes to get those homes. You’ve got to be very close to the local politicians in order to be put in to a list of people for those houses. At times, women have to undergo sexual harassment in exchange for getting on to the housing list. There is a lot of corruption in housing allocation. There was no clear plan or policy on the side of the cities as to who gets the housing and how. If there were to be policy, it would not be followed. So, we realised that we can no longer wait on a housing list because the list does not even exist. We’ve been calling for a policy where there is a better housing list, where there is a clear democratic housing policy allocation committee. We are no longer going to wait for the government to act. They have lied to us. So, we feel that it is better for us to find ourselves a piece of land and occupy that piece of land. Occupation as a political act to address the question of homelessness has always stemmed from a genuine need of people to occupy land in order to build houses for themselves. Obviously, there is a scarcity of housing. However, people do not want to remain homeless when there is plenty of land, irrespective of whether or not the government is prepared to legally give it to them. In South Africa, we come from a history of land dispossession through colonialism and apartheid. Land was dispossessed from the majority of black people. If you want to correct the imbalances of the past, you can’t forget that there is this history that land was stolen from the black majority in South Africa. As a way to redress that, occupation becomes key. Because how do you buy something that belongs to you? That’s the political intervention: We were dispossessed of our land. Now it is time to slowly, slowly get our land back. Could you tell us about the repression that your movement has faced? We are facing serious repression in South Africa, especially in Durban. A number of our comrades have been assassinated, and other have been murdered during protests and evictions. Everyone who joins our struggle accepts this risk. And we tell comrades from the onset that when they sign up to join Abahlali, they could die. We have buried comrades. We continue to bury comrades. Comrades continue to take the risk because they do not want what is otherwise their fate–to die slowly, but surely, to die without dignity. A number of our comrades are either killed by the police during the protests or by the politicians and their hitmen, their gangsters. They are also killed by Anti-Land Invasion Units, which our cities developed to empower themselves and to essentially become military formations against the poor. They have become extremely well-armed when dealing with their citizens. Politics has become a way to get rich and people are willing to kill or to do anything to become rich and to stay rich. We move from funeral to funeral. We bury our comrades with the dignity that they were denied in life. Many of our comrades cannot sleep in their own homes or cannot leave their home after dark in the so-called democratic post-apartheid South Africa. Repression comes in waves. There is violence and there is co-option. If they cannot kill us, they try to co-opt us into political parties and into non-governmental organisations. You mentioned that the shack dweller’s movement came out of a spontaneous moment. How have you been able to sustain that and turn it in to a movement? What structures has Abahlali developed that have helped sustain your movement? To sustain an organisation demands quite a few elements. Of course, every organisation has a programme. Abahlali has what we call a year calendar. The calendar is very helpful in disciplining leadership. Sometimes you have an event on Monday and sometimes you don’t feel like it, you get lazy and you don’t feel like going, if it’s just up to you. But because it’s within the public domain, because everyone knows about it, members know that, on this date, this activity must happen. That is why I am saying putting a proper calendar for the entire year forces the leadership to adhere to that and the members will hold you accountable for that. Every week there will be a programme, an activity, of going to the community and organising, whether it’s political or civic education, a rally a leadership meeting, or a community meeting. Every weekend there will always be an activity, which then keeps us busy and keeps us close to the members, to the constituency, in different communities. If you want to join Abahlali, obviously we encourage you to speak to your family and your neighbourhood. It becomes your responsibility from the onset to organise a core group that we can come and present to. You invite us, even with a few people, and then we come and present what Abahlali is. We discourage people from joining Abahlali as individuals—it doesn’t help us, and it doesn’t help them either. So, you will invite us to your community and you organise your community before you become a part of Abahlali. And then, once we make our presentation, we leave the community to engage amongst itself and to decide whether or not they want to join Abahlali as a block. One person signing up to Abahlali membership is not going to make a difference when people are facing evictions. There must be a minimum of fifty members signing to Abahlali. We do not rush to sign members up. It takes a month or even years to join our movement. Democracy can be very slow and often very boring, and we have been very patient to live up to that. When the fifty members are reached, we come back again for what we call political education. There, we talk about people’s rights. We do research prior to going to each place. We want to learn about the troubles faced by that community. We want to find out whether they face evictions and police brutality. We want to learn about the poverty and joblessness. We want our political education to be focused to their needs. We don’t generalize. We must focus on why they wanted to join Abahlali in the first place. Surely there is something that troubles them. So, if there is legislation that could help them and that they might not know about, we bring information to them so that they can use it. We have spent the time to think about what might keep them in the movement. People will come today because you invited them. But how do you sustain that? You have to know your constituencies. Know them. Know their needs. Know what they like, so that you focus on the positive side of their needs. For instance, to keep the young people, there will be a lot of entertainment. Building cadre is also important. Central to our work is the women’s league. It is a platform for women to build strength within the organisation. We are very aware that our struggle is founded on the strength of women. In Abahlali, we are proud to have launched what we call a women’s league, a space that is special for women, because women are special people in our struggle. They have their own structures as well, from the local, provincial, and national levels. We also have an Abahlali youth league. The idea is to empower young people, so they can assume leadership positions while they are still young. These structures run parallel. They are wings of the movement. We called them ‘wings’; the wing is there to support the main body. You have talked about the ‘psychological aspect’ of Abahlali. Could you tell us what you mean by this? The struggle is about changing the mindset. You’ve got to be very deep in doing so. By a psychological involvement in the struggle, I mean there has to be a way in which you provoke not only the political thinking but the spiritual and psychological thinking of people. You have to get beneath the political and social grievances. You have to change the culture. A lot of organisations say that they have members–we have 100,000 members, they say. But if you ask them to call a meeting, people do not show up. Because people signed up a few years ago, does not mean that they are a part of the organisation. They’re not following you, they don’t feel like that they belong. We make a distinction between organising and mobilising. If you mobilise people, then they will come for that particular day because you somehow managed to attract them. But you have not organised them. You have not been able to sustain such a gathering. Part of the psychological element is to provoke the thinking of people so that people get to understand why it is important to be part of Abahlali beyond the problem of gentrification and the violence of evictions. People join Abahlali because they are in trouble somehow. They join Abahlali because the State wants to evict them or because they have no basic services. Some join Abahlali because Abahlali happens to have powerful lawyers. But our art of organising says if you come to Abahlali for whatever reason, we will change you. You come for a lawyer, we make sure you are not going to be given a lawyer and disappear. So, while you get what brought you here, we will systematically and psychologically instil our politics so that you see beyond what brought you to the movement. What I have learned personally from the areas where I grew up is that poor people tend to not trust other poor people. For them to trust you, you must be well dressed, you must be driving a big car. Then they believe that you are a role model, you can be trusted. However, what we have learned from the very same smart people who drive big cars, is that they are actually not role models. They lie to poor people. In fact, what makes them rich is the fact that they lie to people, they undermine people, they hide information, they are corrupt in order to maintain power. From the psychological point of thinking, what Abahlali has been engaged in is to undo that form of thought. To say, look, the people that we were trusting the most because of how they dress, because of the cars they drive, they are actually not good people. Let’s trust our own people who have nothing. But, of course, our people will have to demonstrate if they deserve our trust. That is part of what we have done. Now you can drive your Mercedes Benz and people say, ‘you go to hell with that’ because they know that it represents evil instead of good. I always make a point that our humanity should not be judged by our socioeconomic status, because that’s misleading. If I drive a good car, if you are going to trust me, and you think I’m a better human being because I have a big house, you will miss the point. Judging people based on their socioeconomic status is always misleading. So that’s what we teach the poor. To trust one another. You may not have money, but you are rich spiritually, and that makes you a better person. You are not corrupt. You are not going to lie. You are not going to make other people’s lives miserable. You went underground this year when threats were made against you, as they have been made against other Abahlali leaders. Could you tell us about these threats? I have been intimidated by all kinds of forces–the police and the intelligence services. They told me that I only have two weeks to live. The hit to carry out my assassination was confirmed. The person who was hired to carry out the assassination was named. There were clear details that I should be removed. The State did nothing to protect me even though they knew the details of the planned hit. I had to go underground on my own. In two months, the movement was infiltrated. We found that trusted comrades were working for our adversaries. I found myself surrounded by a bunch of criminals, including the police. The people who said that they were from the police told me about the hit. I trusted them. A few weeks later, I realised that they were the same people who could carry out the murder at any time. People who said that they were the police might have been from the office of the Mayor of Durban, who had publicly threatened me. They know where I live, where I work, my movements. I was totally vulnerable. I had to go underground on my own, because they have scared me enough–I have never been this scared in my life. I could not share this with many of my comrades. I was shivering, seeing that death was imminent. I could not sleep. I was lonely, also knowing that my own comrades that are close to me are working for the enemy. The very same security agencies that are meant to protect me can do harm to me. I was in the shadow of death. I don’t fear death. Could you tell us a little bit about the organisation, about the relationship between the members and the leaders? Our movement belongs to its members: people who are elected into positions of leadership are there to obey the membership. Leaders who do not obey the membership can be recalled by a decision taken in a general assembly. So, we need to make sure that we have strong cadres, strong members. The general membership must be strong, it must defend its right to control the organisation, including the leaders. Leaders are there to serve the people. Sometimes we–as leaders–crack our heads open trying to figure out some problems. But we forget that the answers are actually with the people that elected us. When you get to a point where you don’t know what to do anymore, then you go back to the people to learn through their experiences and from our collective struggles. We want to strengthen the people rather than the leadership. We want to find ways to make sure that the people are in command and that the leaders do not feel that they are in command. The leaders work at the pleasure of the people. A movement is healthy when it has strong cadres. The general members must be powerful. I have always said that Abahlali is like the waves in the sea. Just as waves reject any trash you put in, Abahlali has always been able to toss out its trash. If the movement is infiltrated or if the leadership loses its way, then the membership acts to recover Abahlali from them. Our strong and committed membership has helped us when the forces that hate us try to destroy us. Can you tell us about the importance of political education in the work that you do? The forces that are fighting against us are man-made. They are not God-made. The reasons why people are kicked out of our cities is because of the policy makers and the authorities that we elect to power. These are people whose political views produce policies that prevent the people from getting access to homes. They are political by nature, and therefore require political intervention. Because the forces are political, we need to get our political tools right. Politics starts with the everyday lives of people. So, we must undertake political education that understands this. You cannot start with lots of political jargon. If you start with a debate over capitalism versus communism or socialism, then you confuse people on the ground. What does capitalism have to do with ordinary men and women who are homeless? That question needs to be explained from homelessness outwards. You have to start with homelessness, with the lack of water and the lack of electricity. Then you can explain the system, how the system of private property degrades the lives of the millions to benefit the few. You have to start with what people understand and then build the theory. You can have brilliant ideas, but they will fail to become part of the masses if they are detached from people. These brilliant ideas will then have no impact on the world, will make no difference to people. Our popular education must be humble. It must be geared to people of different backgrounds, including the educated. But, the educated–including teachers–have to know that their knowledge should not give them permission to highjack the movement. The people have to move together. Our popular education has to build on that lesson. For us, dignity is at the centre. Dignity is the ethical core. The dignity of human beings is universal and non-negotiable. It is the point from which resistance is built. Humans are dignified, and they demand to live in a dignified way. That is why homelessness is abhorrent. Our struggle for dignity and for a dignified world is long and it is hard. It will not be achieved overnight. It may take years for us to win the question of land and to win on our other challenges. People will be beaten and even jailed. Lives will be lost. For this long struggle, we have to build the confidence, courage and determination of the masses. Popular education is key here. What have been the biggest gains in your movement? What are you the proudest of having accomplished? We have managed to resist all forms of evictions, including repression. If we weren’t successful, the movement would have been dismantled a long time ago. We have managed to successfully resist all kinds of forces that were meant to destroy our movement. We have kept people on their land. We have kept thousands of families in their homes. But, most importantly, we may not have been able to build houses for the people–that’s what we want–but we have managed to change the psychological thinking of people. What is it to be helpless, to be dependent on the State? Because that’s what the state does; in order to control you properly, they will create dependency. We have managed to build trust and solidarity among the poor. We have managed to build a movement and we have managed to remain a people’s movement. Do you know what that means? We have managed to keep the movement belonging to its people. Not to be co-opted, not to be hijacked by individuals, or even by the State. Communities own the movement, not the leadership. We’ve seen this when leaders suffered from the entitlement syndrome. When the leaders see themselves as entitled to money, to the assets of the organisation. They were unable to succeed because the movement has always belonged more to its members than its leaders. This is why the membership was able to recall us leaders and dissolve structures. So that’s the power, which is really a success in many ways. Despite everything, our movement has not just survived, but it has grown. And it continues to grow. We continue to occupy land, to build homes and to appropriate water and electricity. We continue to do all these amazing things and people continue to remain within the movement. That is one thing we have been able to do; we remain a home and a hope for thousands of shack dwellers in the country and impoverished people that find themselves marginalized. While the government, the political parties, and some NGOs are debating how to achieve land reform from above, we are achieving land reform from below. We don’t wait for policy makers or politicians. We occupy vacant, unused land as a way to correct the imbalances of the past, because we find it very senseless to continue talking about landlessness when we know there is plenty of land. And we have decided to occupy land. Most of the settlements that we work in are land occupations occupied by the people. For us, land is very important. We get food from the land. We build houses on the land. The government can neglect us; they don’t even build us State-assisted housing. But when we have land, at least we can build something. 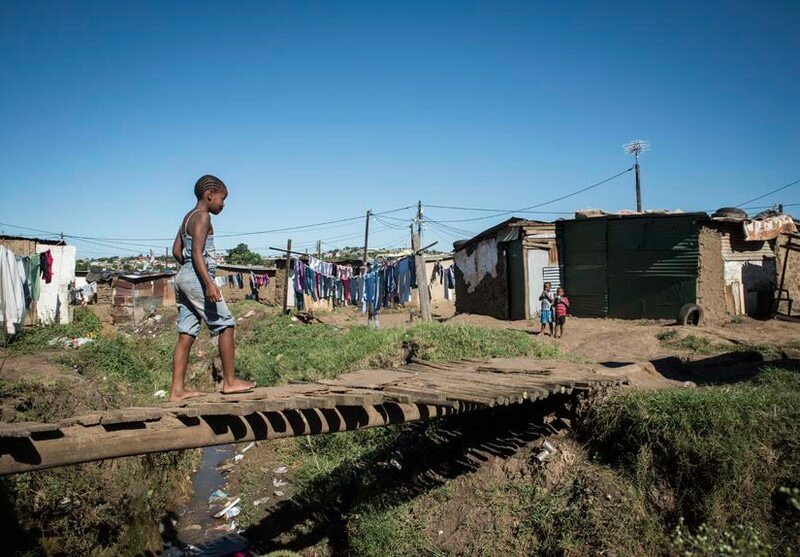 No matter what you call it–slum, squalid conditions, shacks, shanty town–it is what we can afford. We call it home. We have developed our homes. We have had to connect to water and electricity ourselves. We build roads on our own, because it’s all we can do. We always say, when the government is busy building for the elites elsewhere, we will do what we can with the means that we have. Because we have no choice but to live like dignified human beings, so we have got to come up with something. Sometimes that is taken as a crime, but it is very scary to understand how one defines crime. When you are denied basic services, the right to the city, which is enshrined not only in national laws but also in international laws, that is not seen as a crime. But as soon as you make an intervention to claim our rights, suddenly you are a criminal. So, we are very conscious about what is criminal and what is not. Thousands of people are living on land as a result of our struggle. Thousands of children are in good schools as a result of our struggle. Thousands of people have livelihoods in shared settlements as a result of our struggle. I always use this quote from Frantz Fanon. It says, each generation must discover its mission and fulfil it or betray it. So, the working class here, the poor here, have to decide what is it that they want in life and in the future. It is for them to make that decision. You don’t mix yourself with comrades because suddenly you just want to socialize. That does happen naturally, but there must be an aim. There must be a future, there must be an idea. The message therefore is to say, unless people know what they want, there’s nothing much that can be done. If they find themselves in the margins of the city, of life, if they see themselves being pushed out of their city spaces, pushed out of their democratic spaces, exploited at work, are failing to afford a living standard, the onus is with them to organize around that. We are poor. Even those who see themselves as workers or even the working class are moving between being employed and being impoverished. That is why we think that the unity between the working class and the impoverished is necessary if we are to win the battle against the forces that we are all against. So that’s my message. If people are living in the comfortable zone, organising them would be difficult. Those who marginalised, who suffer from gentrification, there is a potential to bring them into our struggles, for them to discover their mission and to decide whether they want to fulfil that mission or if they want to betray it. Betraying is not just about betraying yourself by being lazy or being a coward. It means betraying the future, betraying the future generations. It’s easy to talk about civil society and think that we are all on one page. But some folks are there to make sure that they keep us poor. They are funded to make sure of that. We have proof, we have seen this happening. If you were to talk about support and solidarity, we expect people to walk with us, journey with us. Not from the front, not from behind, but at least walk side by side with us. Not to hijack our struggles in the name of support and solidarity. Not to talk for us or on our behalf in our absence in the name of support and solidarity. Our existence and our autonomy are always taken by elites as illegitimate, as a conspiracy, as something to be destroyed. They see us as criminals. We find it to be beneath the law that we can be beaten, evicted, and killed, with impunity. We find that we are supposed to remain in dark corners, to remain silenced, but we have to work hard to build our voice and image again. We see ourselves as dignified. We want to participate in decision making like all other people. We have a commitment to our own dignity. We have no choice but to live like human beings.